Madison, a very special young lady, got her wish granted! A brand new bedroom! Thank you Wishes Can Happen! News-Talk 1480 WHBC’s Gary Rivers at the Massillon Summer Concert Series. News-Talk 1480 WHBC’s Gary Rivers at the Massillon Independence Day Festival. The WHBC 2016 Health Week was presented by: Roholt Vision Institute, Mercy Medical Center, Affinity Medical Center, Aultman & Stark County Mental Health & Addiction Recovery and Community Services of Stark County Inc. & Quest Recovery & Prevention Services. News-Talk 1480 WHBC’s Gary Rivers was at Dentistry From The Heart! Glam Party and Concert! What a night with The Canton Symphony Orchestra brings , Mix 94.1 and News-Talk 1480 WHBC! 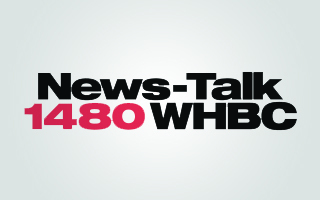 News-Talk 1480 WHBC and sister station Mix 941 at Celebrity Cuisine!